American Son Event homeCustomer reviews HamiltonThe PromNetworkTo Kill a MockingbirdKiss Me KateHadestownOklahoma! 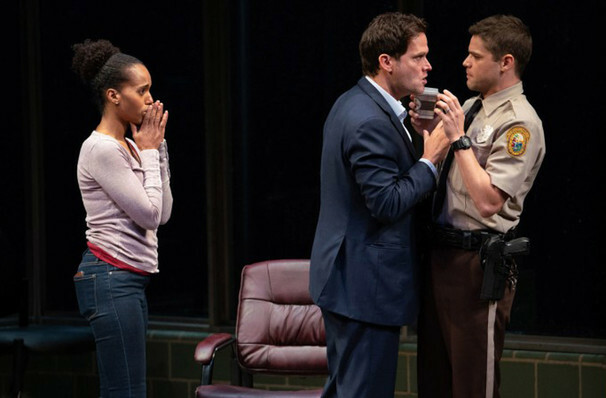 Scandal's Kerry Washington and Broadway fave Steven Pasquale (The Bridges of Madison County) lead Christopher Demos-Brown's taut one-act play. The pair star as an interracial couple Kendra and Scott whose son has been reported missing. As they wait at a police station for news, the atmosphere grows increasingly heated, with the spectre of all the young black men gunned down by cops rising to the surface. 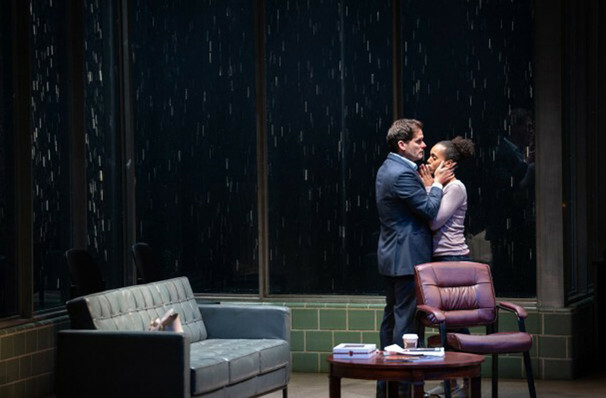 Played out in real time, American Son examines the troubled relationship between African Americans and law enforcement with intelligence and brio. 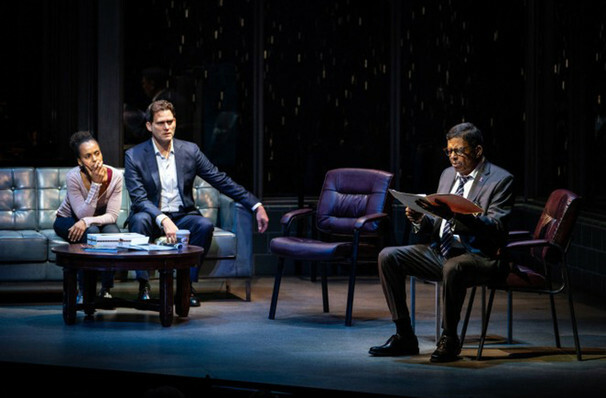 Previously produced at George Street Playhouse and Barrington Stage Company, American Son picked up the Laurents/Hatcher Award for Best New Play by an Emerging Playwright in 2016. 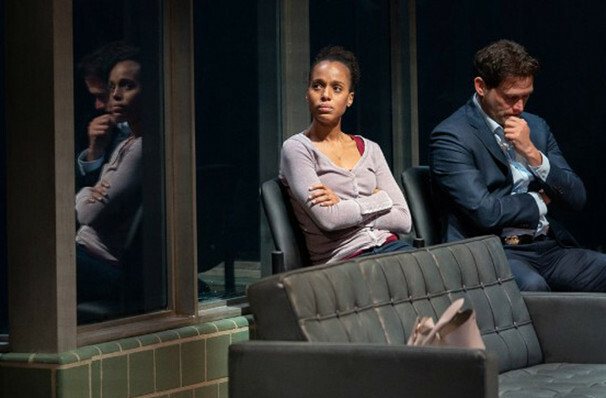 This Broadway production is directed by Tony winner Kenny Leon (A Raisin in the Sun). Eighteen year old Jamal is missing and his mother Kendra is frantic with worry. She's sitting in the waiting room of a Miami police station, waiting for news, as well as the arrival of her estranged husband Scott. The police assure her they're doing everything they can (despite the evident under-staffing), but Kendra begins to suspect there's something more sinister going on. Sound good to you? 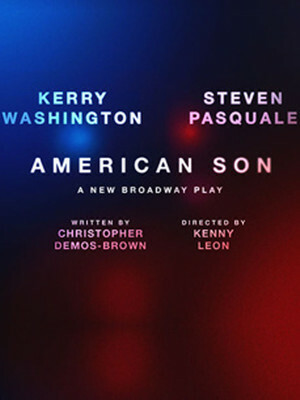 Share this page on social media and let your friends know about American Son at Booth Theater. Please note: The term Booth Theater and/or American Son as well as all associated graphics, logos, and/or other trademarks, tradenames or copyrights are the property of the Booth Theater and/or American Son and are used herein for factual descriptive purposes only. We are in no way associated with or authorized by the Booth Theater and/or American Son and neither that entity nor any of its affiliates have licensed or endorsed us to sell tickets, goods and or services in conjunction with their events.